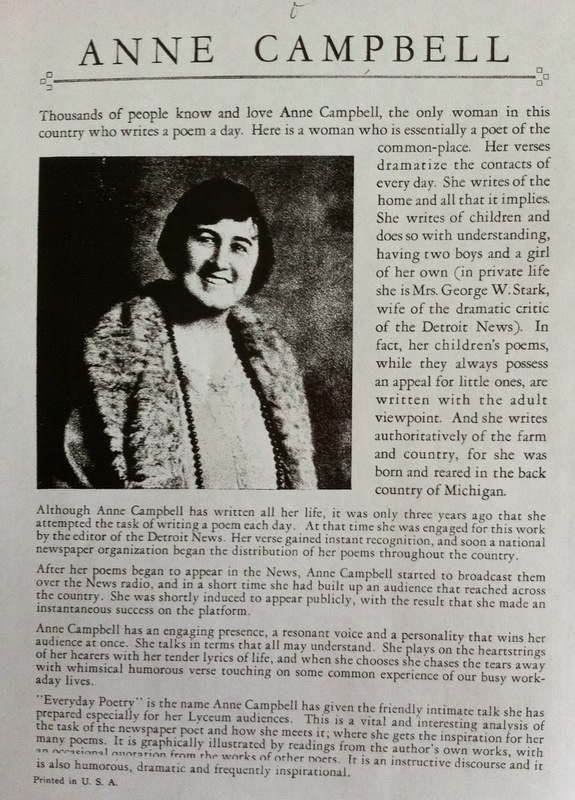 If the poet-critic just mentioned had never heard of Guest, it's probably safe to say that he's never heard of Anne Campbell either—the poet whom the Detroit News hired in 1922 to better compete with the Free Press. 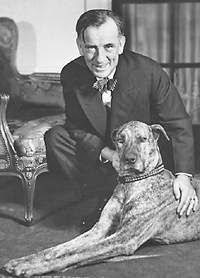 Called "Eddie Guest's Rival" by Time and "The Poet of the Home" by her publicity agents, Campbell would go on to write a poem a day six days a week for twenty-five years, producing over 7,500 poems whose international syndication reportedly earned her up to $10,000 per year (that's about $140,000 adjusted for inflation, folks), becoming a popular speaker in her own right, and proving that neither the Free Press nor Guest could corner the market on popular poetry. Indeed, a 1947 event marking her silver anniversary at the News drew 1,500 fans including Detroit's mayor and the president of Wayne State University. We've been thinking a lot about Campbell lately. For starters, P&PC has been working on an essay about women's poetry and popular culture for the Cambridge History of Twentieth-Century American Women's Poetry, and Campbell's clearly a central part of that history. Then we had the awesomely good fortune of meeting Campbell's granddaughter, who's been very helpful in sketching out some of the details of Campbell's life. Anne was born in rural Michigan on June 19, 1888, possibly finished high school, married the Detroit News writer and future Detroit city historian George W. Stark when she was twenty-seven, had three children, performed and recorded regularly with the Minneapolis Symphony Orchestra doing readings during intermissions in the 1930s, read on local and national radio, was active with the March of Dimes, and with George was a fixture of Detroit's cultural life and friends, of course, with Guest. She published her first poem (where else, right?) 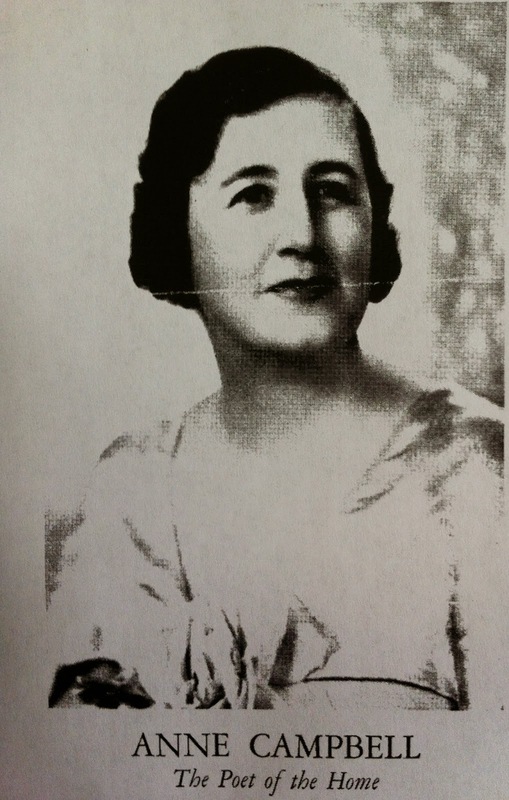 in the Free Press when she was ten, won a state prize for a Memorial Day story and poem when she was fourteen, was first paid for her poetry when she was seventeen, gave a popular talk called "Everyday Poetry" on the Lyceum circuit, and published at least five books of poems (one co-written with George). (For a bunch of blurbs and publicity materials about her, check out the pamphlets here and here.) She died in 1984. When folks come visitin' the school. An' jist can’t read an' write and spell. An' my throat swells so I can't speak. My both knees shake an' sweat rolls down. That I was any place but there. I' goin' to make his life all joy. I'll not go visitin' the school! It's an odd little poem, isn't it? It's kitschy in a way that Daniel Tiffany's recent book My Silver Planet: A Secret History of Poetry and Kitsch can help us to understand, and although the second and third stanzas don't disclose the exact content of the recitation, they nevertheless call most readily to our mind the history of poetry memorization and recitation that Catherine Robson takes up in Heart Beats: Everyday Life and the Memorized Poem; seen this way, "Visitin' the School" is thus a poem about poetry. But under the cover of innocence—the kitchiness, the schoolroom, the slightly baby-talk language, the rudimentary rhymes, etc.—we here in the P&PC Office think Campbell's poem's got something more going on. Noteworthy for how it doesn't assign a gender to teacher, student, or classroom visitor (thus making a role in the child's predicament available to all students, teachers, and classroom visitors), "Visitin' the School" is super concerned with the subject of reproduction: 1) whether or not the child's oral expression can be reproduced in print; 2) whether or not the child can faithfully reproduce what "teacher asts me to recite"; 3) how the child will "git big an' have a boy"; 4) and, ultimately, how the child vows to not reproduce the cultural practice of "visitin' the school." 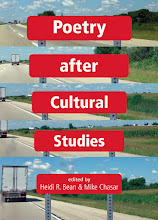 Locating a voice of protest and dissent in the child—the weak, scared, young, and nearly voiceless ("my throat swells so I can't speak") subject put under pressure by multiple forms of surveillance—Campbell's poem becomes unexpectedly politicized, questioning, rather than confirming, the legitimacy of normative educational practices. If we do not hear this protest, it's not because it's not there, but because we who teach and visit classrooms at all levels fail to afford its apparently rudimentary poetic expression—by someone who "jist can't read an' write and spell"—the seriousness it deserves. As school begins, and as many of us may feel moved to lament the poor writing skills our students bring with them, that's a lesson worth keeping in mind.